Even the most brilliant marketing campaign won’t succeed unless you know who you’re targeting with the material. The following suggestions can help you find your target audience so you can better focus your marketing and receive the best return on your investment. Create reader personas: A reader persona is a theoretical profile that includes your best information on what your ideal customer will be interested in and how this customer will engage with your products and services. Reader personas should include known characteristics, interests and demographic details that would describe your perfect customer. The personas you create could also include characteristics you want your ideal customer to have. This will help you create content that appeals to the type of customer you want. Use analytics and reporting tools: Use Google Analytics to help you identify the traits and characteristics of visitors to your website. Find and use reporting tools and similar analytics programs for your social media pages, such as Facebook and Twitter. The data you gather from these sources will reveal important facts about site visitors and social media followers, including topics they search for online. 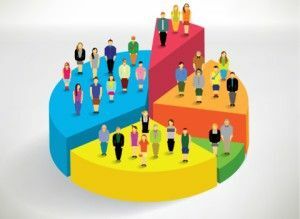 Conduct surveys: Customer surveys can be a gold mine of data about your existing customer base and the audience you want to attract. Surveys allow you to ask direct questions and receive equally direct answers from the people who are buying and using your offerings. Consider utilizing a third party to send your surveys and offering a reward or incentive for survey respondents to increase participation. Prospect locally and continually expand: Get your mailing list from a reputable source and make sure you keep it up to date so it doesn’t go stale. A good mailing service provider should allow you to select a list based on geographic and demographic selections. Once you know what works, you can gradually expand your service area and grow your business. Friend and follow: As part of your social media efforts, friend and follow your customers. This will give you usable insight into subjects they’re interested in, pages they follow, and what kind of content they share online. Engage with your audience: Take the time to engage with followers on your blog and social media sites. A conversation in this context can reveal more about your readers’ interests and give you another opportunity to ask direct questions. What other methods could you use to help you find your target audience and focus your marketing on their needs and interests? Are You Taking Advantage of All That Google Analytics Has to Offer?